The Wolf Pack finished their 2018-19 season 29-36-7-4 for 69 points, after a three-games-in-three-days stretch over the final weekend of the season produced an 0-2-0-1 result. 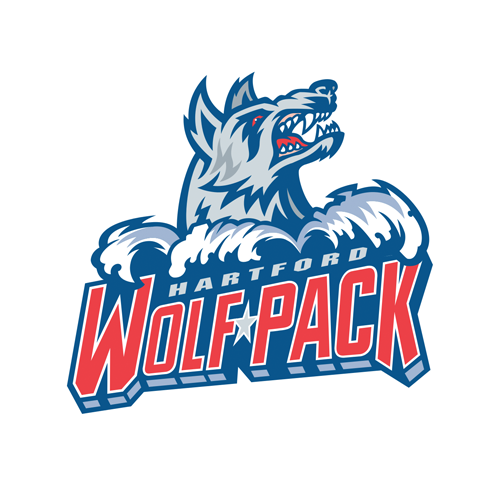 In their last home game of 2018-19 Friday night, the Wolf Pack fell 6-3 to the Hershey Bears, despite Jake Elmer scoring his first two pro goals and adding an assist. 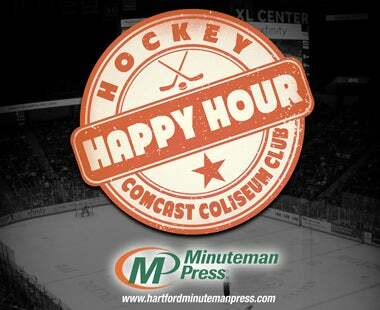 Saturday night in Allentown, the Lehigh Valley Phantoms got by the Wolf Pack, 3-2- in a shootout, after Hartford had built a 2-0 lead on goals by recent additions Ryan Dmowski (his first pro tally) and Lewis Zerter-Gossage. 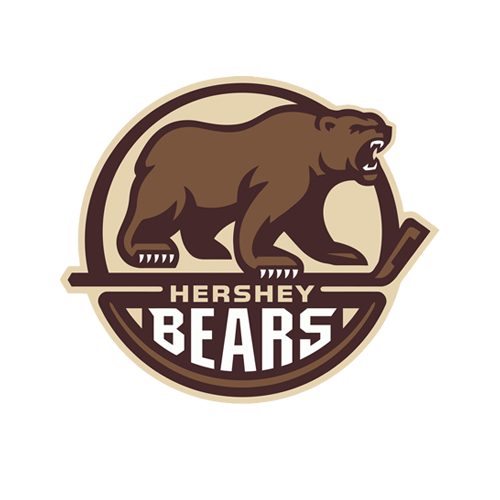 In the season finale on Sunday in Hershey, Darren Raddysh netted his first Wolf Pack goal only 32 seconds into the game, but the Bears would go on to get the next three scores for a 3-1 win. Defenseman John Gilmour finished the season as the Wolf Pack’s leader in points and assists, with 20 goals (a franchise record for defensemen) and 34 assists for 54 points in 70 games. He becomes only the second blueliner in team history (joining Danny Syvret in 2013-14) to lead the team in points. Vinni Lettieri was the Wolf Pack’s top goal-scorer for a second straight season, with 23-25-48 in 48 games. For the Wolf Pack's final 2018-19 scoring statistics, click here. Wednesday, April 17, 10:00 AM, First Company Governor’s Horse Guards, 280 Arch Rd., Avon, CT: Sonar helps re-launch the Wolf Pack’s “Hockey in the Streets” program, enjoying some street hockey fun with the kids of the CT National Guard and the First Company Governor’s Horse Guards. Saturday, April 20, 12:00 noon, 15 Kibbe Rd., E. Longmeadow, MA: Sonar joins his buddy Boomer, the Springfield Thunderbirds’ mascot, and the Easter Bunny, for East Longmeadow’s annual Easter Egg Hunt. Wednesday, April 24, 6:00 PM, Rita’s Italian Ice, 1134 New Britain Ave., West Hartford, CT: Sonar takes part in Rita’s “Celebrity Scoop”, dishing out Italian Ice to raise funds for West Hartford’s Special Education PTO. Thursday, April 25, 11:00 AM, MetLife, 1300 Hall Blvd., Bloomfield, CT: Sonar takes part in National Bring Your Daughters to Work Day at MetLife. Friday, April 26, 10:00 AM, Channel 3 Kids Camp, 73 Times Farm Rd., Andover, CT: “Hockey in the Streets” heads to the Channel 3 Kids Camp for a demonstration, as a prelude to launching a weekly program at the camp in June. 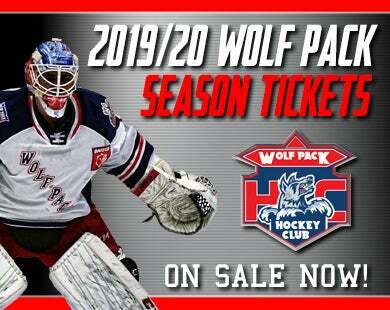 Pack Tracks: Now is the time to become a Wolf Pack member for the 2019-20 season. 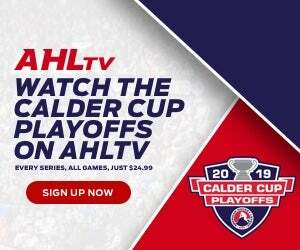 Join the Pack and reserve your ticket package today! Full-season, 20 and 10-game plans are available, all featuring major discounts off of the game-day prices, and numerous great extra benefits. To speak with a Wolf Pack representative about season or group tickets, or any of the Wolf Pack’s many ticketing options, call (855) 762-6451, or click here to request more info.